Bovis give buyers £3,000 cash incentives to move into unfinished new homes. Posted on 13/01/2017 by New Home Expert | Comments Off on Bovis give buyers £3,000 cash incentives to move into unfinished new homes. Just when I think there isn’t anything else this industry can shock me with – coverage in the national press has revealed that Bovis Homes offered “bribes” of up to £3,000 to their buyers if they legally completed or moved into unfinished new homes on or before 23rd December 2016. This was done in a vain attempt to meet the City forecasted target of 4,170 completions for their financial year-end. Have Bovis Group attempted to deceive investors and the City as to the true year-end results of the Company, by pushing through legal completions (sales) on new homes that were not 100% finished at year-end? I am no expert on financial reporting regulations but more is here. Perhaps this is something that the Financial Conduct Authority [FCA] should be investigating. 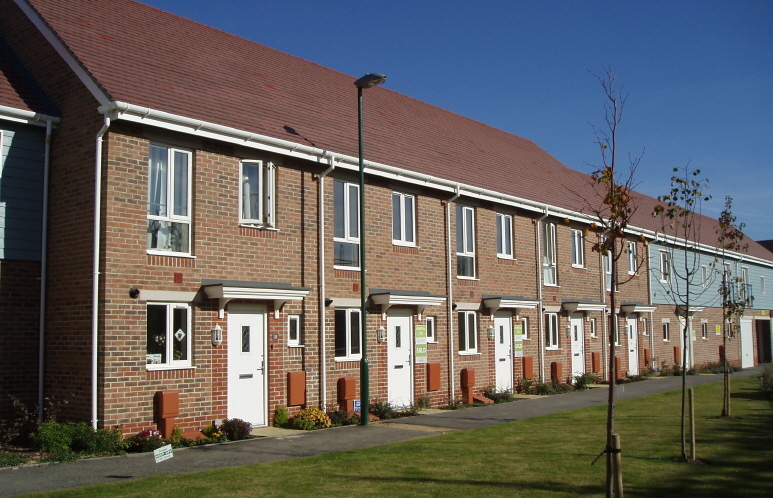 Comments Off on Bovis give buyers £3,000 cash incentives to move into unfinished new homes. An analysis by the excellent campaign group Leasehold Knowledge Partnership (LKP) in November 2016, revealed that 8,775 new-build leasehold houses totalling nearly £2billion were sold in England and Wales last year. In all around 45,000 new houses have been registered as leasehold. Many of these bought with help from taxpayers’ through the Help to Buy scheme. In most cases, the housebuilder sells the freehold after a couple of years to a private company, which can then demand extortionate fees from homebuyers. The latest data figures from the DCLG on Affordable Housing supply April 2015 to March 2016 published yesterday, show that the number of affordable homes built in England in 2015/16 has fallen to its lowest level for 24 years. In total, just 32,110 new affordable homes were added – a 52% decline on the previous twelve months (66,600). Figures for affordable housing are split into three catagories: social rent, affordable rent and affordable home ownership/shared ownership. Leasehold new houses – the next mis-selling scandal? Given the information, no new homebuyer would ever choose to buy a house with a leasehold title. Perhaps this is why some housebuilders hide this extremely important information from new homebuyers. Even if they do think to ask about the property title, it’s no good saying “People are scared of change because it’s something new. But it’s virtually freehold.” As a Persimmon sales advisor told a reporter from The Guardian. Is it Freehold? New homebuyers are getting caught out by newly-built leasehold houses. “It is clear this system is being abused to drive huge profits at ordinary ­homeowners’ expense. There is no need for there to be leasehold properties, particularly those on an estate where the properties are mainly detached houses. As Patrick Collinson reported in The Guardian on Saturday 29 October 2016, a new house built by Taylor Wimpey in Ellesmere Port was sold for £155,000 on a 999-year lease in 2009. Seven years later, the owner was quoted £32,000 to buy the freehold from E&J estates who had bought the freeholds from Taylor Wimpey. Another buyer was quoted up to £40,000 by E&J estates for the freehold of their 2011, 4-bedroom £122,000 house and despite a long lease, another new homebuyer in Manchester is was forced to pay £38,000 to buy the freehold on their recently built home. Escalating ground rent is another issue. Taylor Wimpey set the ground rent at £295 a year on the Ellesmere Port development, with the contract stating that ground rent will double every ten years! Prefab Sprout! Flat pack new homes – no Allen keys required! 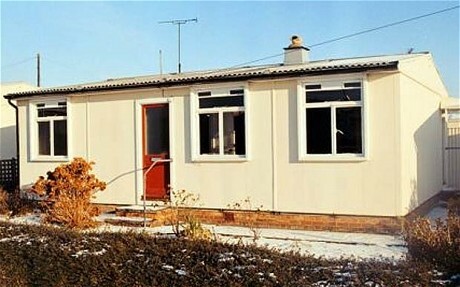 But will prefabs be the answer to Britain’s housing crisis? As reported in The Telegraph last Saturday, the government is to embark on a building programme to “embrace the first new generation of pre-packed homes since the reconstruction after the Second World War.” By using prefabricated homes that can be delivered to site and built [thrown up] in 48 hours. While the Department for Communities and Local Government [DCLG] is not expected to set a hard target, (one lesson learned at least!) government sources said it was hoped that more than 100,000 prefabs could be built by May 2020 – around 2,500 a month. Theresa May’s Government is struggling to work out how to meet a commitment to build “a million new homes by 2020”. Clearly the large housebuilders, supported in every respect by this and previous government policy, have failed to deliver any meaningful and desired increase in production – even now, they are building fewer new homes than were built in 2007. Profiteering from landbanking? – Channel 4 Dispatches ‘Britain’s Homebuilding Scandal’ due to be aired on Monday 7 November 2016 will no doubt highlight this. When will the incessant greed of housebuilders reach its zenith? Not content with charging premium house prices, large plc housebuilders keep coming up with new ways to squeeze every last drop of additional profit from unsuspecting new homebuyers. It started with overpriced optional extras and upgrades. Then shared driveways and non-existent front gardens enabled housebuilders to cram in even more homes on their developments. 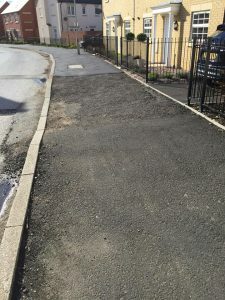 Next came the Freehold house with Leasehold type management charges – inescapable “annual rentcharges for maintenance of communal amenities on the development”, commonly around £200 a year for each home, normally for ‘maintaining’ landscaped areas. Also becoming increasingly common, are charges for private roads, footpaths and street lighting on developments. These charges are even more galling when builders fail to fully-complete these areas for months, sometimes years after the last house was built and sold. The website Home Owners Rights Network has been set up to fight the unfairness of these charges and campaign for a change in the law. 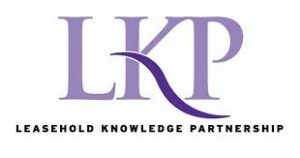 The Leasehold Knowledge Partnership was set up to protect ordinary leaseholders. Now some housebuilders have taken fleecing buyers to a whole new level. Selling Leasehold new houses, but at Freehold prices. There can be no other reason for this other than to increase their bottom line. As the Daily Mail reported in May 2015, two new housing estates were being built in on either side of London Road in Peterborough. At the time, Persimmon were building 50 new homes at “The Edge” on the east side, selling three bedroom homes for £158,995 – £180,000. On the other side of the road at “The Sycamores” Barratt were building 80 new homes, almost identical in appearance, with a three-bedroom property costing from £163,995. The first Annual Report by the Consumer Code for Home Builders since April 2014, was finally published this month. In May 2014, I asked the question, Is the Consumer Code for Home Builders (CCHB) fit for purpose? In March this year I wrote that the Consumer Code for Home Builders is failing new homebuyers. This voluntary code was launched in April 2010 and has been inadequate and failing new homebuyers ever since. “The Code [Consumer Code for Home Builders] does not appear to give homebuyers the safeguards we think they should expect. It does not appear to us objectively to offer consumers a wholly satisfactory form of redress. 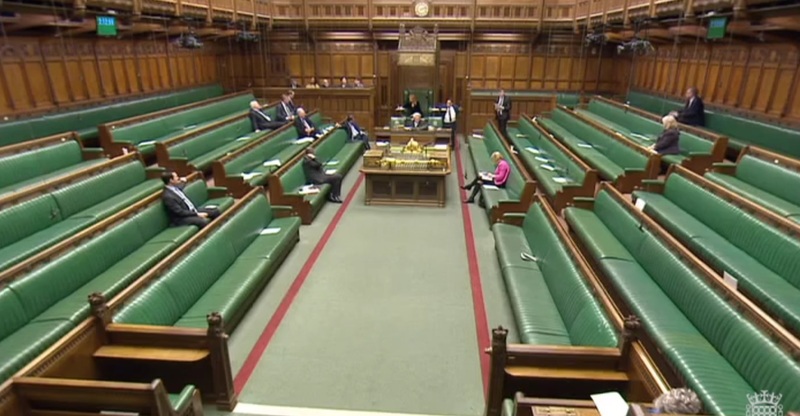 APPG Inquiry recognises a government-appointed New Homes Ombudsman should be set up. The Redfern Review – How Is CEO Peter Redfern Doing At Taylor Wimpey? Posted on 13/10/2016 by New Home Expert | Comments Off on The Redfern Review – How Is CEO Peter Redfern Doing At Taylor Wimpey? It has been over seven months since Taylor Wimpey released its results for the full year to 31 December 2015 (1 March 2016). This included a statement from Chief Executive Peter Redfern, which recognised improvement was needed with regard to his company’s poor customer satisfaction levels. Perhaps it is time to take stock and conduct our own ‘Redfern Review’. “During 2015, we achieved a customer satisfaction score of 86% (2014: 87%). We are disappointed that this has slipped. Whilst we operate in a cyclical market, we strongly believe that a customer centric approach is needed throughout the cycle. During 2015 we completed an in-depth review of every aspect and stage of our Customer Journey, to identify areas of improvement and to deliver a better homebuying experience for our customers. Throughout the review, our focus has been on understanding our customers’ priorities to enable us to deliver at and ahead of expectations. We have also commenced the process of rolling out our new customer approach across the business with a focus on three main areas: our culture, management structure and process. This is to ensure that going forward we deliver the right product, supported by excellent customer service to all our customers at every stage of their journey with Taylor Wimpey. 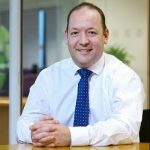 Comments Off on The Redfern Review – How Is CEO Peter Redfern Doing At Taylor Wimpey? Yet more funding for housebuilders! Whatever became of austerity, “there’s no money left” and “balancing the budget by 2020”? So is the country now awash with spare cash? Of course not. According to the national debt clock, the UK is borrowing another £5,170 per SECOND or £1.86m an hour! The National debt is currently £1,762,340,000,000 (1.76trn), this equates to £28,291 for every person living in the UK or £48,600 for each UK taxpayer! So I find it totally incomprehensible that another £5bn is being added, to further and unnecessarily subsidise private housebuilding under the guise of increasing the number of new homes built. We have already had the ‘The Osborne Stupidity’ – ‘Help to Buy’ fuelling house prices and housebuilders’ record profits. Now we have the ‘The May Lunacy’ ‘Help to Build’, yet more funding for housebuilders. Last week the Theresa May’s government announced two major housing initiatives; a £3bn Home Building Fund – £2bn long term funding for infrastructure and £1bn short term loan funding aimed towards enabling smaller developers enter the market. As is often the case with government announcements of supposedly “new funds” £1.2bn of the £3bn was previously announced as the Large Sites Infrastructure Fund in 2015. In addition, a new £2bn “Accelerated Construction Programme” aiming at getting new homes built more quickly on public land. Why do so few new homebuyers complain and go public? Posted on 07/10/2016 by New Home Expert | Comments Off on Why do so few new homebuyers complain and go public? This was a question I was asked at the APPG last November. Surely, if there was a real problem with the quality of new homes, why is it that so few actually complain and go public with their experiences? It is a question I often ask myself, knowing as I do that 93% of new homebuyers will report problems to their housebuilder very soon after being handed the keys. Imagine the public outcry if 93% of new cars went back to the dealer for faults to be fixed after a few days or weeks! Indeed, if new homes were cars they wouldn’t be fit to go on the roads! So why is it that out of a potential 129,300 people that bought a new home in the year to 30 June 2016 and reported problems to the housebuilder, most chose to stay silent? Even more astounding are 86% that the HBF claim “would recommend their housebuilder to a friend” – although the HBF 8-week customer survey results appear to be being manipulated by the big housebuilders. Comments Off on Why do so few new homebuyers complain and go public? Redress? When will New Homes Ombudsman be operational? Why is the Conservative government dragging its heels over housing reform? Consumer Code for Homebuilders – Causing the Confusion! Housebuilding industry attempts to derail the setting up of an independent new homes ombudsman. The day Taylor Wimpey ruined my life! Copyright © 2019 new-home-blog.co.uk - All Rights Reserved.